The Soundgarden returns with a label debut from Underset in his Klaus Dead alter ego, featuring remixes from Audiofly's Luca Saporito. Audiofly's Luca Saporito adds his trademark wonkiness for a full-service house rework. We’ve been following Sol Selectas releases for a while now and it’s been our “go to” label of the past year with a catalogue that always contains something we can use in our sets. So it was a great honour for us to remix their latest release. We’ve been road testing this extensively to great results and now it’s your turn to play it out. Enjoy! With 13 years behind them as a creative partnership Anthony Middleton and Luca Saporito AKA Audiofly have accumulated unparalleled experience through their endeavours and continue to put everything into maintaining their careers at the highest level. After a chance meeting in 2002, the two men have established a creative empire, which includes two record labels, a global party brand and fashion. A constant source of positive energy, Audiofly retain a focus on the underground with the depth of knowledge to confidently explore new terrains. So, Anthony and Luca have relaunched Flying Circus‘ sub label Supernature. We didn’t wait around to grab a chat with them to discuss the return but firstly let’s find out what the guys have been up to in its 2-year hiatus? Audiofly sat down with Beatport for a live streaming q&a! Click the image to see the full video. Audiofly have long been flying the flag for UK house music around the world. The duo have a slick brand of tech house that has taken them from their own party in Ibiza to headline slots at ADE. They return to the Dutch capital again on October 18th, when Free Your Mind Festival is presenting three label showcases in one event at Thuishaven. Hernan Cattaneo’s label Sudbeat, Nick Warren’s The Soundgarden imprint, and Audiofly’s Flying Circus are joining forces for what promises to be nothing short of an electrifying ADE gathering. Here are some tunes you can expect to hear from the pair. Audiofly’s Luca Saporito goes solo for a superb new single on Get Physical featuring vocals from the legendary JAW. As Audiofly, Luca has been a true globetrotter alongside Anthony with their own unique take on the deep house and techno scene. Anthony Middleton is one half of the amazing duo: Audiofly, they have been close to the Akbal Music family since the early days, collaborating in various records with Robbie Akbal and Muan, for this episode Anthony delivers an elegant deep techie number full of musical elements and quirky acid synth sounds to create an amazing journey. The record comes with 2 great remixes by Jon Charnis and Raw District. Check out this special remix of M.A.N.D.Y feat Jimmy Vallance Tomorrow is Another Night by our very own Anthony Middleton. 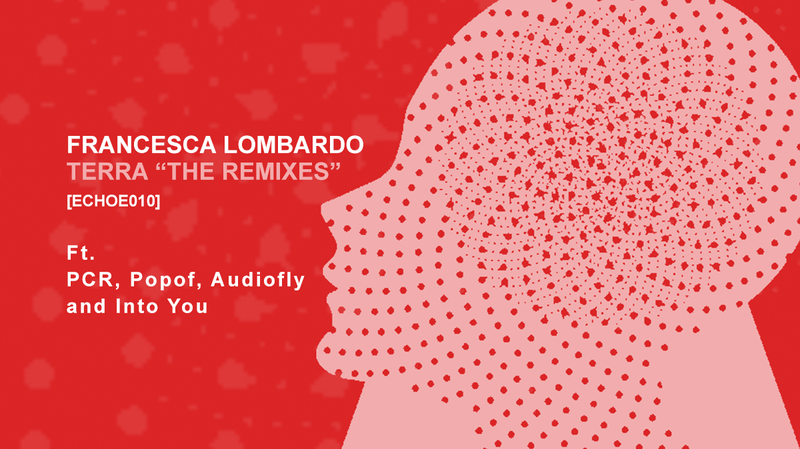 "This remix is an exchange we did with Francesa Lombardo, with whom we are very good friends. Basically she did a remix for our upcoming Austen/Scott release on Flying Circus and we remixed her latest single. The whole process was easy and smooth and we are very happy with the results on both labels"
Special Set recorded at Supermarket, Zurich 2018 for our friends at Electronic Groove Magazine. Check out the full interview and podcast here! ​Audiofly's interview with Traktor about their workflow and incorporation of this legendary software into their sets. Check out this special ADE 2017 recorded set at Gardens Of Babylon, Amsterdam. Championing this movement is electronic due Audiofly aka Anthony Middleton and Luca Saporito. 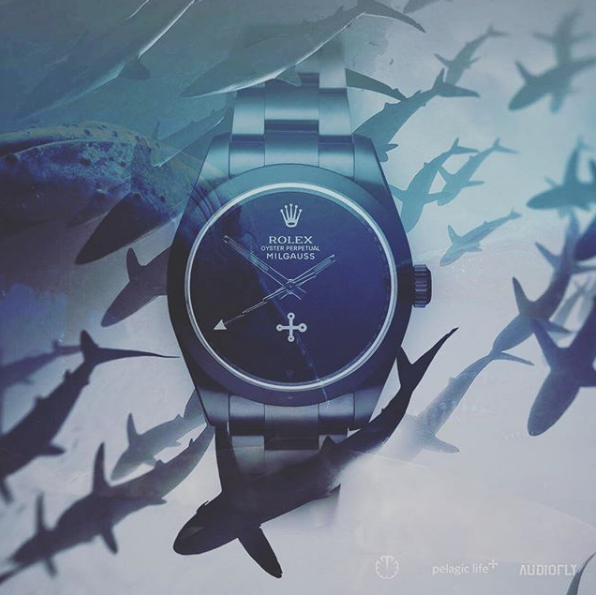 Having established a creative empire with two record labels and their Flying Circus global party brand, they are now collaborating with bespoke watch specialist Titan Back and the non-profit charity Pelagic Life​ to help protect the oceans. Working together to create a limited edition watch, Audiofly and Titan Black will be donating 50% of the profit from each sale to the Pelagic Life Trust. Based in Mexico, Pelagic Life is a non-profit marine conservation trust set up to protect the biodiversity of the ocean.